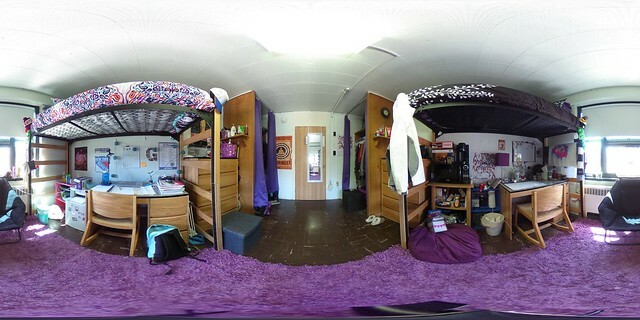 UConn ResLife is excited to present virtual tours of our housing spaces using an interactive 360 degree spherical image format. Click on one of the albums here to view images in Flickr. Use your mouse to move the image around and view all angles of the space. In order to view and interact with the virtual tours, you must click on an individual photo within the album. This will launch the 360 viewer that allows you to drag your mouse and view the room from all angles.